Companies may be obliged to provide information on offshore status - MP | Russian Legal Information Agency (RAPSI). MOSCOW, August (RAPSI) - Dmitry Savelyev, Deputy Chief of the United Russia Party, has submitted to the State Duma a bill that would require companies to inform consumers about their offshore status, RIA Novosti reported. Under the current legislation, entrepreneurs must sign the firm's name, location, operating schedule of the company, and other such identifying data. According to Savelyev, this list is not exhaustive. The new initiative proposes a prohibition on advertisements in cases where a company operating in Russia has not disclosed its offshore status. According to Savelyev, these measures would serve to make companies more transparent. The problem of offshore zones was raised by Russian President Vladimir Putin in June, when he announced on the heels of the G8 summit that Russia would tackle the problem by drawing up a national plan to deal with such tax havens. "We will shortly adopt a law on disclosing end beneficiaries. 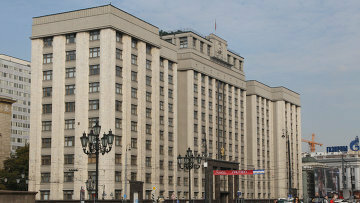 The bill has passed the State Duma and is now being considered in the Federation Council. I will certainly sign it into law as soon as the upper house approves it," he said. "After that, we will propose a national plan to deal with offshore tax havens, just as the other G8 countries. This fight must proceed within reasonable limits, precluding any violations of current legal principles and norms," Putin added. He said that offshore tax havens are a problem not only for Russia, but for the global economy as a whole, and that the majority of tax havens are British dependencies and overseas territories. "I believe that the excessive use of offshore tax havens is seriously damaging the Russian economy, because we seldom know the end beneficiary and potential investors are wary of bringing major funds into the country as they do not understand who they will be dealing with," Putin said. "This is a serious problem for all countries. Russia has only just started on the path which many other countries have taken in the fight against offshore tax havens." Putin said earlier that Russia would use its G8 rotating presidency in 2014 to push for international regulation of offshore tax havens, following up on a campaign against offshore havens begun by British Prime Minister David Cameron, the current head of the G8. 11:11 28/08/2013 Dmitry Savelyev, Deputy Chief of the United Russia Party, has submitted to the State Duma a bill that would require companies to inform consumers about their offshore status.